Two different friends have asked me for potty training advice this week. They both read my blog on occasion and so I wondered if maybe they missed this post somehow? Each year of parenting brings me to a fuller realization that I have absolutely no advice to give. 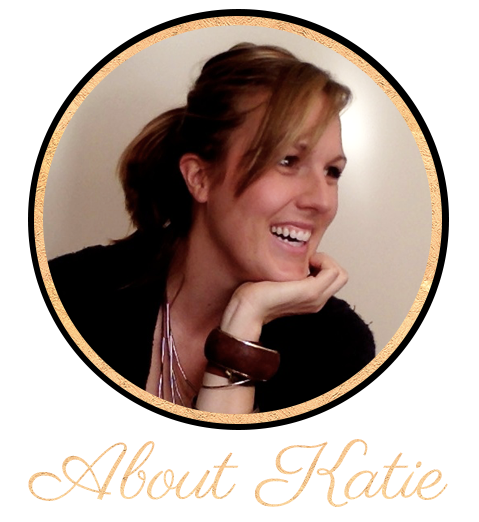 All I can do is share my own stories of failures and (so far) successes. Oh and encouragement. I do encouragement here too. I like to think of myself as a little mama-cheerleader. In the event that you're desperately seeking potty-training encouragement from a girl who's 75% certain her children are wearing clean underwear, read on. I potty-trained the Squirt waaaaaay too early and it was not pretty. 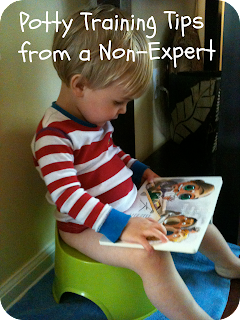 That rough road taught me that potty training happens when your child is ready. Not when you are ready. Not when the budget is too tight to buy diapers for more than one child. Do what you gotta do - eat some rice and beans for a while girlfriend, because diapers are AWESOME. My mom (an elementary school teacher) swears she's never seen a kid at school in diapers, so eventually they will figure it out. But if you really think you and your little buddy are ready, well this is what has 'worked' for us. Our kids loved going out with us to buy their new big kid undies the day before we started this insanity. They got to pick them out and in the process we got to talk about what potty-training was. Shopping always makes things more fun doesn't it? I would whole-heartedly encourage you to buy A LOT of undies. We're talking 14+ pairs. You are most likely going to have to clean poop out of quite a few pairs and well...sometimes it's just not worth it. Trash those bad boys. 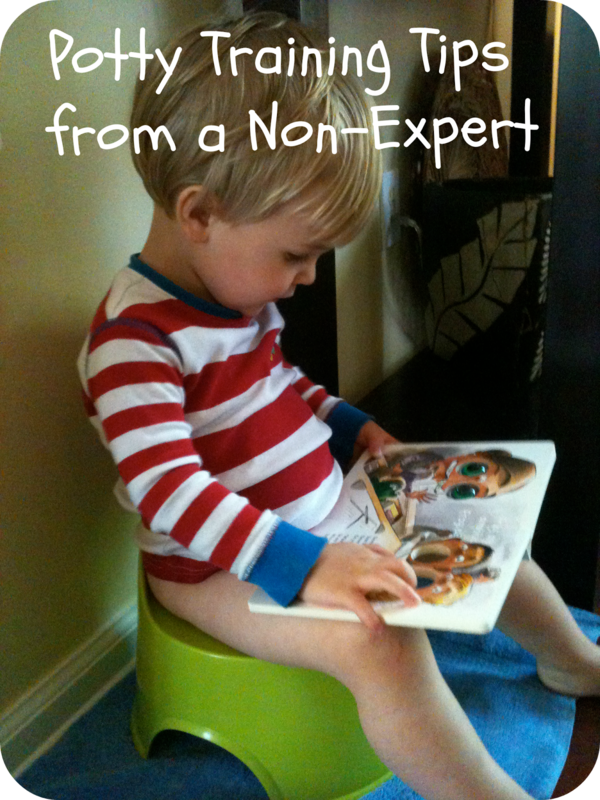 When we potty-trained Squirt we did the stupid highly recommended 3 Day Method (Google it). This required keeping the Squirt naked from the waist down the entire first day. I have never been more grateful for hardwood floors in my life. We cleaned up SO MUCH PEE that day. With Sweet B we just ditched the diapers and put her straight into undies on the first day. A few months before this we tried potty-training by putting her in Pull-Ups, but she never got it. Sweet B has watered our floors far less than her big brother. Which is fortunate, because we have nicer rugs now. 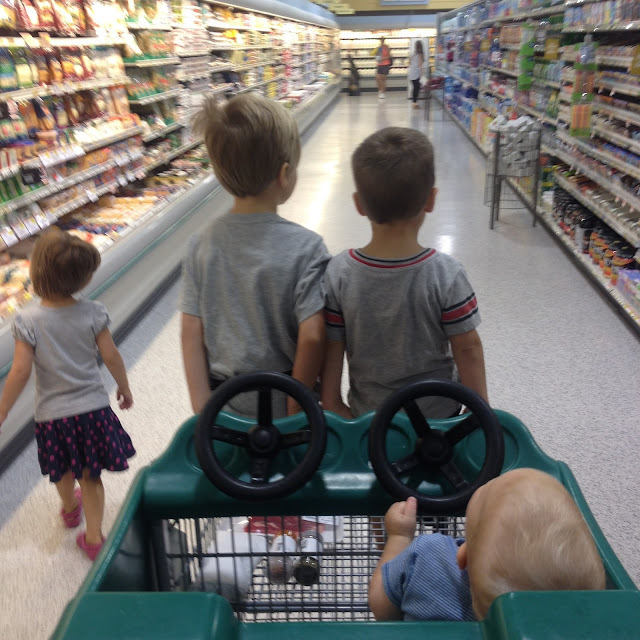 When we "went for it" with both kids, we did it on a Saturday so B Daddy was home to help out. One of us kept an eye on the trainee (in theory) and the other one ran interference with the other little ones. By the time Monday rolled around, the worst of it was behind us. (Again, this is theory - not real life.) In real life Sweet B watched a LOT of TV that first Monday B Daddy went to work and I hovered over the Squirt all day just waiting to whip out the tiny green potty at the first signs of fidgeting. When it came time for sleeping during the potty-training phase I would whip out a Pull-Up and talk about how they were special Big Boy undies just for sleeping. Yes they feel like diapers. But we do. not. play. with nap time or night time around here. Sleep is sacred. They can wear Pull-Ups just as long as they like. It's hard enough for me to be gracious to my children when they have peed in their pants during the day - asking this of myself when I have been woken in the middle of the night is clearly setting myself up for failure. Oh and buy some disposable plastic gloves - they are nice to have on hand when you have to clean up the more traumatic (for you) accidents. Also, buy carpet cleaner - for the same reason as above. And finally, the only true advice I have to offer is this: give your kids (and yourself) A LOT of grace. I am still working on this part. My mantra is, "it's just poop. It's just poop. It's just poop." When confronted with a crisis, repeat this mantra as often as necessary. Very good advice! I totally support the trash the poopie underwear theory. My life became much more enjoyable when I started doing that. The only thing I would add from my personal experience is that if you go through a really long, difficult potty training and then suddenly your beloved little one decides they want to be potty trained and immediately stops having accidents (even at night), PROVING that all those months of pain were their personal choice, try not to strangle them.